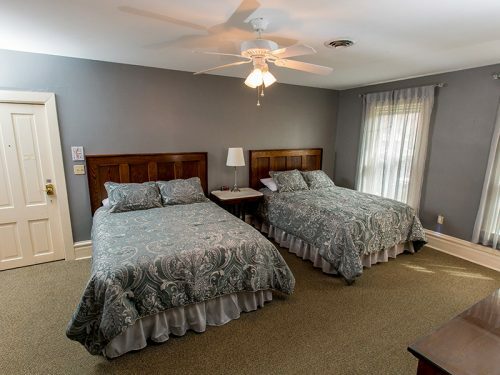 This is a spacious room which sleeps 4 in two comfortable Queen beds. Two South facing windows which can be opened to fully enjoy fresh lake breezes. 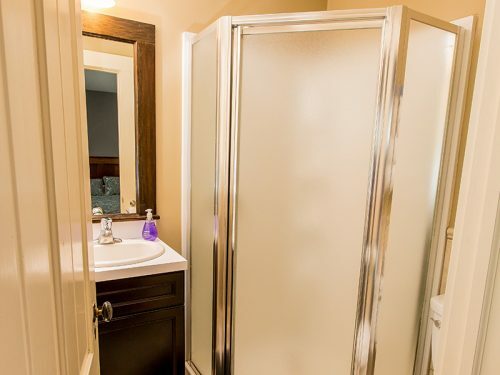 Private bathroom with a large, enclosed, walk-in shower. 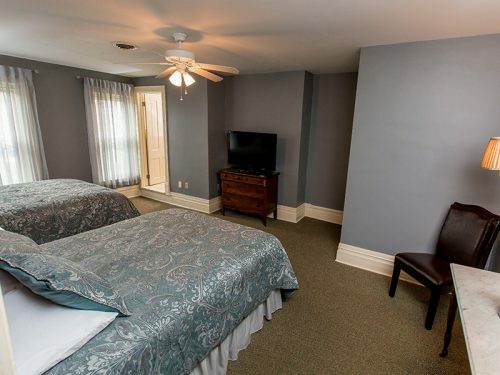 Wi-Fi and TV included.